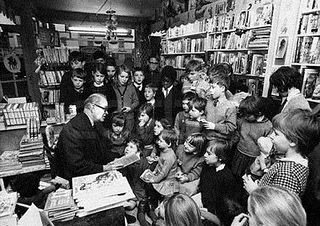 Leonard Malcolm Saville (1901-1982) was a popular author who wrote over ninety books for children and was born in 1901 in Hastings, Sussex. 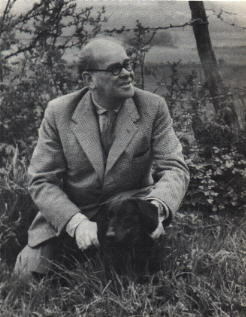 He was a contemporary of Enid Blyton and Richmal Crompton and is most commonly remembered for his Lone Pine adventure series. Malcolm Saville wrote a mixture of fiction and non-fiction placing particular emphasis on real places, wildlife, mystery and family values; all these meant a great deal to him. 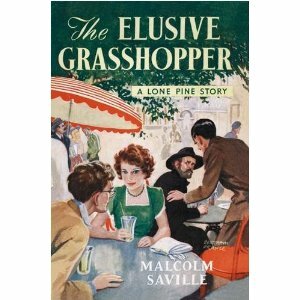 It was not until 1942, when Malcolm Saville was forty-one years old, with four children of his own, that he wrote his first book. “Mystery at Witchend” is an adventure story set in wartime Britain, centring round a group of spies who had set up their base in a cottage on the lonely Long Mynd in Shropshire. The spies are eventually exposed by a group of children who meet up and form a secret club at the base of a lonely pine tree on the side of the Long Mynd. And so the ‘Lone Pine Club’ was born, whose members were to share twenty adventures over the next thirty five years. Being born in Hastings and living for part of his life in Winchelsea in knew the area well and set a number of the Lone Pine stories in Rye and the surrounding area. 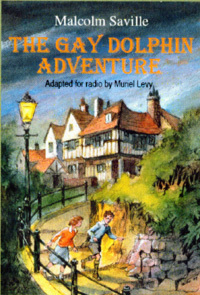 The first of these was the “Gay Dolphin Adventure” (1945), in which the bookish Jonathan Warrender and his cousin Penny are first introduced. Many of these stories are out of print, but some have been reprinted and there is a copy of the sixth Lone Pine adventure, “The Elusive Grasshopper”, in the cottage for visitors to read, if they wish. Lydd also features, briefly, in the story.